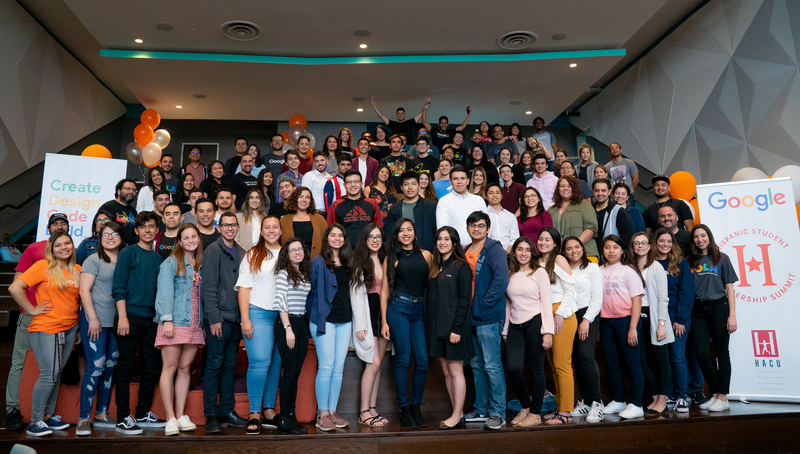 The Hispanic Association of Colleges and Universities partnered with Google to co-host a Hispanic Student Leadership Summit in Austin, TX, on April 5-6, 2019. Fifty undergraduate student leaders from across the nation with an interest in technology participated in leadership development activities during the two-day summit. The agenda included sessions on the topics of “Effective Communication,” “Latinx Leadership Panel,” “Redefining Leadership, Discovering your Latinidad,” and “Cloud Tech Talk.” Also featured during the Summit are breakout discussions, networking with the Hispanic Google Network, student group presentations, and a closing event.